The key thing to target is areas with positive change – and avoid areas with negative changes. Secure property – many tenants, particularly women, prefer to live on the first or second floor of a property – because this is more secure against burglary. Men often prefer to be on the ground floor or top floor. Men and women both like some outdoor space – either a deck, private balcony or small yard-garden, preferably facing south, west or south-west to catch the evening sun. Age of property – most wealthy tenants like to live in historic Victorian properties that are more considered more prestigious than properties built 1920 to 2000. However, some nationalities like the Germans prefer new spacious properties with very clean modern furnishing. 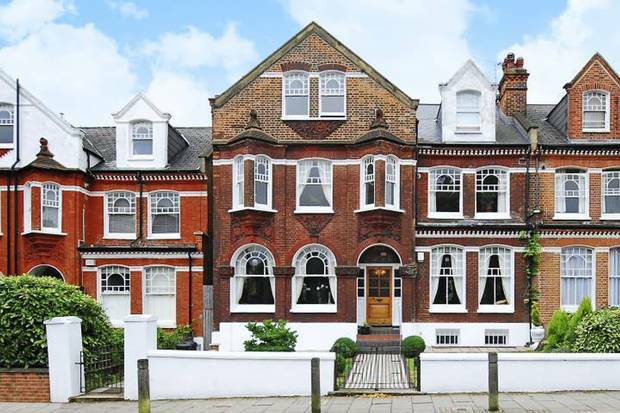 So if you are looking for a female wealthy British tenant or future house purchase target for example, you would be looking for a one bedroom flat on a quiet well lit road, less than 5 minutes from a tube station, in a first floor Victorian flat with stairs to a small back yard or a balcony. Basement: Be careful with basement conversions, since generally the property needs to be worth about £300,000 before its worth digging out a basement, since most simple basement digging operations will cost about £100,000 for a typical London Victorian terrace house. If the ceilings are already say 5ft high, then the costs could drop to something like £60,000 which makes such a project more economically attractive, This is the key reason why most basement conversions occur in properties of value over £1 million – because if two floors and a loft are selling for £1 million, you can see that each floor is worth about £330,000 and if you can dig out a basement for £100,000 then the flat is worth say £ 300,000 it makes economic sense. Hence you will see many basement conversions in Fulham and Kensington, but very few in New Cross and Bexley. In places like Forest Gate, where a basement flat might only be worth £165,000 – its hardly worth the risk of converting the basement in a house, particularly as it’s time consuming, risky, a hassle, the Council and Planning Officers will be crawling all over you and the cost is about £80,000. Salford Manchester – when the BBC announced they were moving a large part of their institution to Salford 6 years ago, it was bound to drive prices higher and help regeneration. Many of the people at the BBC are paid well in excess of £300,000 a year, so this has been a huge benefit to the Salford and West Manchester economy and has attracted business growth providing services to the BBC and its huge numbers of high paid employees and consultants. Salford property prices have risen higher than anywhere else outside SE England and it’s been quite predictable and not a surprise. Chiswick Park - The trick is to identify and act on the next Met Office or BBC type office move. 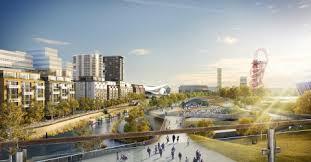 An example close to London is Chiswick Park which is a giant new business park with 15,000+ well paid employees that has sprung up near Gunnersbury tube and the Overground station – it’s still being built. Clearly any one bedroom flat for rent in this area will not find any problem being let out at a high rent, since very few properties are being built in the area, but huge amounts of new jobs are being created. Farringdon: Just a mention about Farringdon. There’s a new Crossrail station being built that will be right in the central of the City of London’s financial district. This station already has some pretty good tube links. But it also has some brilliant rail links north to Bedford (Luton Airport) and south to Brighton (Gatwick Airport). 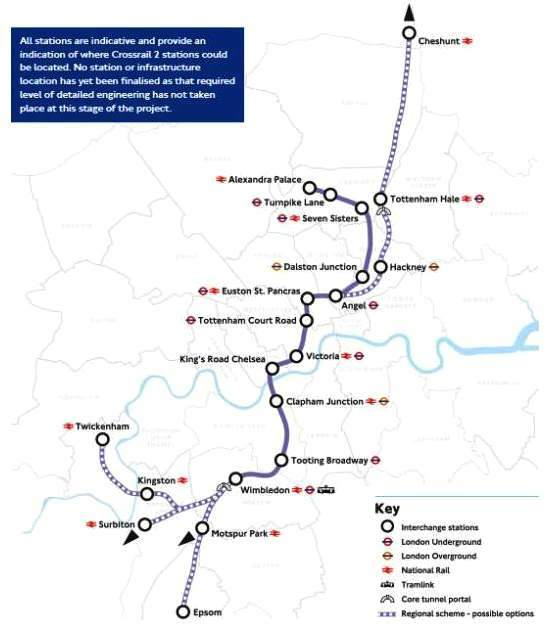 So for the really picky and lazy super rich banker or hedge fund manager that wants the ideal bolt hole in London during the week – they might well want to live in Farringdon which will have easy no rail change access to Heathrow, Luton, Gatwick and the West End (leisure) whilst being a 5 minute walk to work in the City. St Pancras and Eurostar is only just up the road. Farringdon will become the centre for people that like fast rail all around the South East of England. Bedford to Brighton or Thameslink is the only rail service that passes right through London – until Crossrail is built – and these two services meet at Farringdon. So don’t be surprized to see massive new luxury developments springing up around Farringdon. If you want to buy a once bedroom Victorian flat in need of renovation within 2 mins of the station, it’s difficult to see how the strategy would not be a very good one. Population: Before investing in an area, its worth considering the projected population growth. If there is a fast growing population, and you cannot envisage much building, then property prices will rise. An example is London of course – where the population is growing by about 120,000 people a year – but only 30,000 new properties – almost all luxury flats – are being built. It does not take a rocket scientist to predict a shortage of supply and high demand meaning prices rising. We predicted this 9 years ago when PropertyInvesting.net started – please refer to our early Special Reports. Conversely in a place like NW Scotland, there is very little inward migration, an aging population, many properties lie empty, it’s not difficult to build because land is not in short supply and the population is in terminal decline. It’s difficult to see prices rising sharply in such an environment – especially after oil prices collapsed end 2014 which has affected neighbouring Aberdeen. London: So why are we so keen on investing in London? It’s because the city has so many attractions that mean it’s a truly global city which then attracts huge inward international investment. The super-rich buy property. Well educated middle class migrants arrive and work in London. Scores of service worker migrates arrive to help support the economy. The population of 8 million is rising at over 1 million every ten years and there are not enough properties being built. Tenants demand is huge. Purchase demand is huge. You can still buy flats in New Cross and Lewisham for less than £200,000 that are only 1½ miles SE of the City. Tens of millions of tourist and students flock to London each year. The theatres, nightlife, shops, restaurants, museums, music venues, football venues, rugby venues – all within easy reach and in a safe environment. It’s one of the safest large cities in the world. The only thing that could scupper its rise globally is a Labour government’s anti-business policies. As long as the Tories win a second term in Coalition or outright, London as a global business super city should continue its upward momentum. 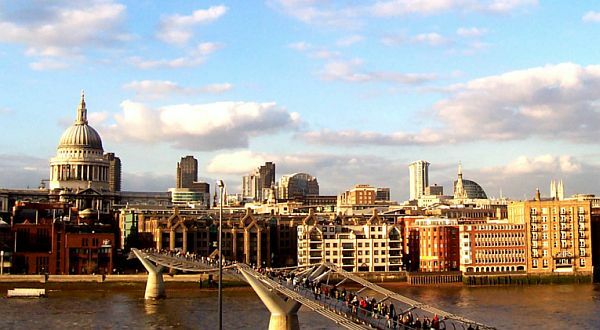 London also has UCL and Imperial College – two of the top European universities. It also has Eton, St Pauls, Westminster, Harrow and many other excellent public schools. No wander it attracts people from all over the world. We can’t see this changing as the world population skyrockets. Education: There is a very high correlation between areas with prestigious education establishments and house prices. If you think Oxford, Cambridge, London and Edinburgh – you think excellent universities and high house prices. Whether this is because these highly educated people settle in these areas and develop businesses or hold high paying services job, or other reasons – it’s not so important. There is also a high correlation between areas with a high proportion of independent schools and house prices increase. Towns with large prestigious public schools also tend to have rising house prices. In the longer term, even though these areas are already expensive, you’ll probably make high yields and see rising capital values by investing in towns and cities with top Universities and public schools. If these are close to or in London, even between. Avoid Towns and Cities “Going Down Hill”: There are a few places that seem in terminal decline where social problems are rife and lack of government spending with high debts mean investment is likely to reduce even further in years to come. If towns and cities have a declining population, with a lot of poverty and social problems – it’s not likely to change in the next ten year regardless of how is in power. We would pick out areas like Bury, northern Leicester, Bolton, Barrow-in-Furness, Margate, Camborne, Newport, western Bradford, Barmouth and Middlesboro – not areas to invest in. Tech City: Another example of this type of growth is Shoreditch (or Tech City, Old Street, Silicon Roundabout). Many very young entrepreneurs are moving in – setting up high-tech start-ups. Many of these future millionaires will want to stay living in this area and will drive the price of family houses nearby upwards in years to come – they will all start having kids in 5 years time. You can see the start of this in Hackney, Shoreditch and Dalston as these areas are becoming rapidly gentrified. Longer term, anywhere close to Shoreditch or Whitechapel (new Crossrail Station) is probably a winner – simply because so much worldwide talent coming to live in this area is bound to have a positive long term effect as their businesses expand.